3 March 1910: Entered Army service as a Fähnrich in Badisches Pionier-Bataillon Nr. 14 after passing out from the Cadet Corps. 4 June 1910-14 February 1911: Detached to War School Kassel. 29 July 1914: Detached to Demolition Command Hüningen-Idstein. 10 August 1914: Transferred to the 3rd Company of Pioneer Battalion 14. 1 January 1915: Leader of Heavy Mortar Detachment 51. 4 November 1915: Transferred to Mortar Company 28. 15 December 1915: Detached to the Recruit Depot of the XIV Army Corps. 1 January 1916: Leader of Mortar Company 29. 15 October 1916: Leader of the 5th Company of Pioneer Battalion 14. 20 January 1919: Transferred to the 2nd Company of Pioneer Battalion 14. 10 April 1919: Leader of Reichswehr Mortar Company 1. 20 June 1919: Leader of Reichswehr Mortar Battalion 14. 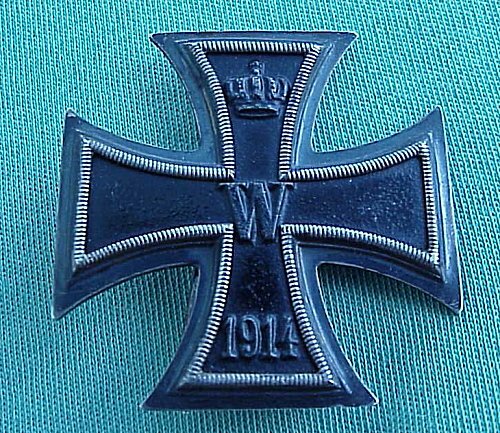 15 July 1919: Transferred to Reichswehr Pioneer Battalion 14. 18 September 1919: Captain on Staff of Reichswehr Pioneer Battalion 313. 19 December 1919: Leader of the Mortar Company of Reichswehr Rifle Regiment 113. 16 June 1920: Leader of Reichswehr Mortar Company 25. 1 January 1921: Chief of the 14th (Mortar-) Company of Infantry Regiment 14. 29 September 1921-12 November 1921: Detached to Mortar Training in Döberitz. 7 September 1925-19 September 1925: Detached to the Formation Exercises of the Reich Navy. 1 October 1926: Chief of the 9th Company of Infantry Regiment 14. 1 October 1929: Transferred to Cavalry Regiment 18 and detached to the staff of the 5th Division. 1 May 1933: Transferred to the staff of the 5th Division. 15 October 1935: Commander of the I. Battalion of Infantry Regiment 34. 10 May 1940-9 October 1947: Prisoner of war in British captivity. 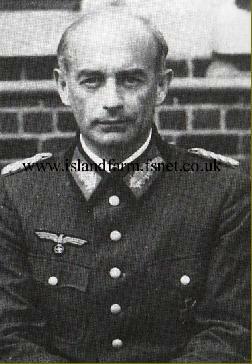 [Friemel was the highest-ranking German prisoner of war held by the British until Generalmajor (later Generalleutnant) Johannes von Ravenstein was captured in North Africa on 29 November 1941.